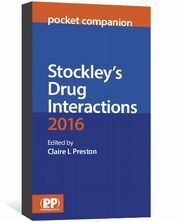 The Stockley's Interactions Checker on MedicinesComplete helps you make rapid, well informed decisions on drug interactions. 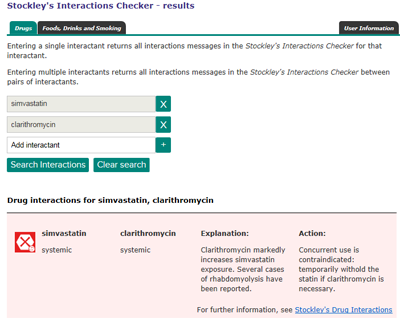 Quickly check online what interactions exist, between any number of drugs, foods, drinks (including alcohol) and tobacco. 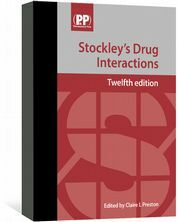 It searches and links to the trusted content of Stockley's Drug Interactions to provide you with a rating symbol, description of the interaction and guidance on the action you should take, making it an indispensable interactions tool. 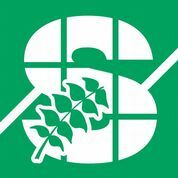 MedicinesComplete helps thousands of users make drug and clinical research decisions every day. Contact us now on sales@medicinescomplete.com or more information or to try it for yourself.